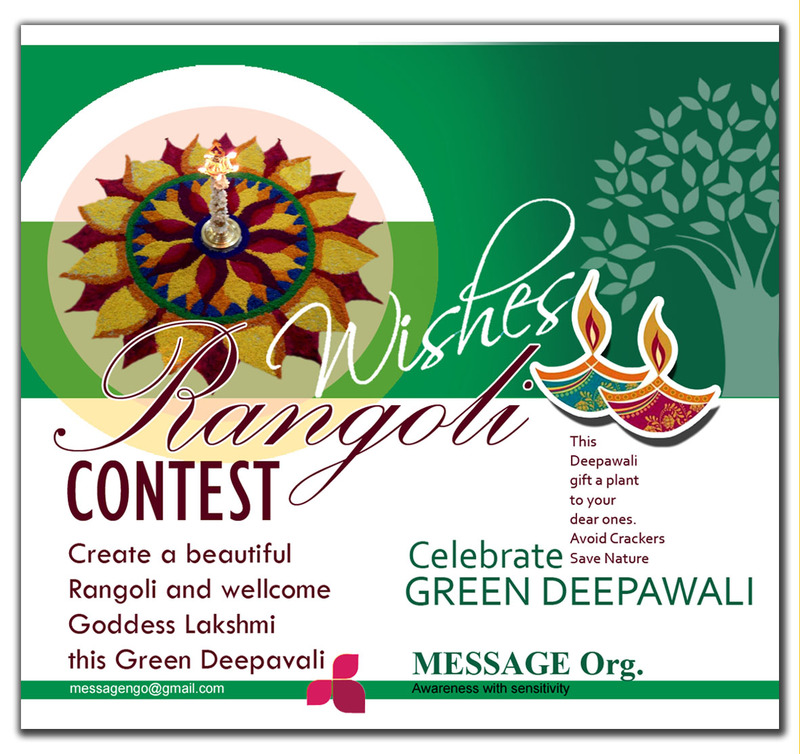 Rangoli contest: Celebrate a Green, Pollution free, Environmentally Safe Diwali. So this year, why not “Go Green”? Let’s come together for save our Mother Earth. This Deepawali Gift a Plant to your dear ones. Avoid Crackers and Save Nature.Celebrate a Green, Pollution free, Environmentally Safe Deepawali. Aiming at raising awareness about Save nature celebrate Green Deepawali. On the occasion of festival session of Deepawali MESSAGE Organization organize campaign with city wives groups Unique Towers Jagatpura Jaipur, making rangoli competetation and spread awareness message “Say no to Crackers’ celebrate Green Deepawali. Deep (light) avali (rows), a row of lights that taught us to vanquish ignorance that subdues humanity and to drive away darkness that engulfs the light of knowledge. This Diwali, let’s go green & celebrate a pollution free Diwali. Say No to firecrackers & yes to Happiness. Let’s not forget our nature this Diwali, Celebrate an eco-friendly Diwali. This Diwali. Only Diyas, No fireworks. Let’s do a little analysis of crackers and list out in actual terms the harmful effects posed by each of its chemicals. Sodium Reacts violently with moisture and can attack the skin.